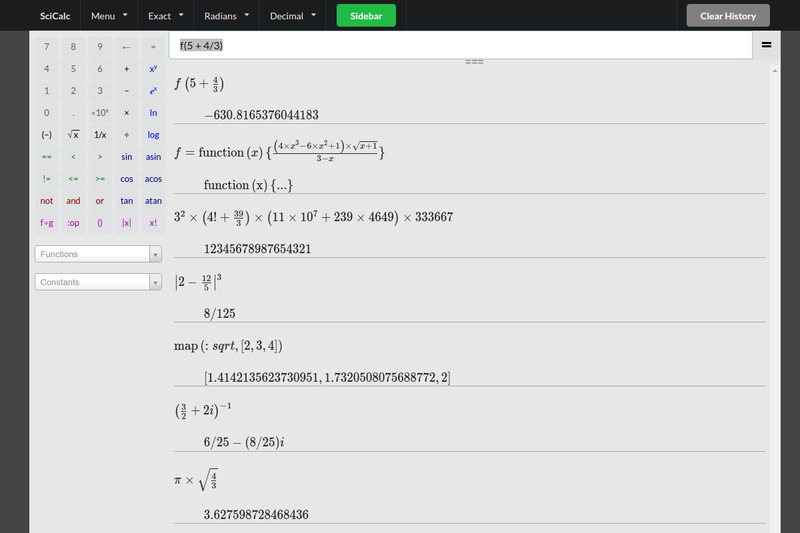 Supports variables, constants, and custom functions. Save scripts online so you can access them anywhere or in a local library. Complex numbers, arbitrary precision integers, and exact fractions. Supports matrix and vector operations. Calculation history lets you refer to previous results.